The breakthrough will change the way liquid-repellent surfaces are fabricated for robust liquid-repellency, strong mechanical stability, and economical production at a commercial scale. 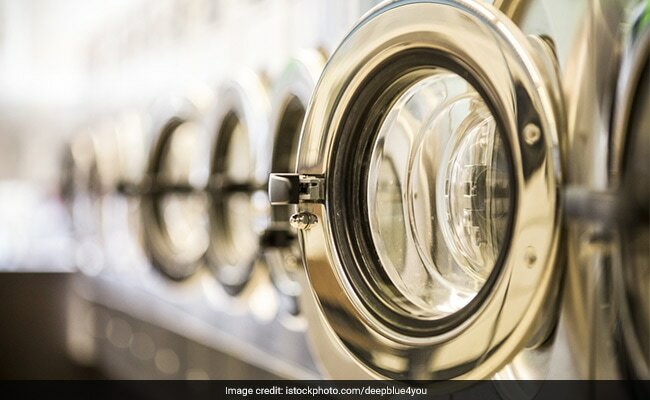 Beijing, China: Scientists have developed liquid-repellent surfaces, that could be used in clothes which not only keep you dry on rainy days, but also stay free of dirt and oil - putting an end to our laundry woes. On liquid-repellent surfaces, liquid droplets bounce away instead of being stuck. These surfaces are important in many fields, such as water-repellent clothes and anti-fouling kitchenware. Used as drag-reduction coatings for water vehicles, these surfaces can even help with speeding up cargo ships and military equipment so as to save energy. However, the functional outcomes of existing liquid-repellent surfaces have not been satisfactory, because of inadequacies of conventional structural design and fabrication approaches in engineering micro-structures and properties of such surfaces. Researchers led by Professor Wang Liqiu from the University of Hong Kong (HKU) developed a robust liquid-repellent structure and the fabrication of porous surfaces by an innovative microfluidic-droplet-based technique. Materials such as textiles, metals and glasses covered by a layer of this robust porous surface can then become liquid-repellent. With the new technology developed by the team, clothes would never get wet on rainy days in the future. The team effectively resolved the conflict between liquid-repellency and mechanical stability by the spring-tail-cuticle-inspired design of liquid-repellent structures. Spring-tails are soil-dwelling arthropods whose habitats often experience rain and flooding. As a consequence, spring-tails evolve their cuticles with strong mechanical durability and robust liquid repellency to resist friction from soil particles and to survive in watery environments, respectively. The team designed porous surfaces composed of interconnected honeycomb-like micro-cavities with a re-entrant profile: inter-connectivity ensures mechanical stability and re-entrant structure yields robust liquid-repellency. The surfaces repel at least 10 types of liquid, including water, surfactant solutions, oils, and organic solvents and show an astounding over 21-fold enhancement in mechanical stability compared with discrete structures. The flexible surfaces can also be readily coated onto various objects for liquid-repellency. It has also paved the way for further progress in creating surface structures by design, and in tailoring their morphology, repellency and mechanical stability to suit a desired application in various fields, including energy, buildings, automobiles, chemical engineering, electronics, environments, bio-medical industry, advanced manufacturing, water vehicle and military equipment.